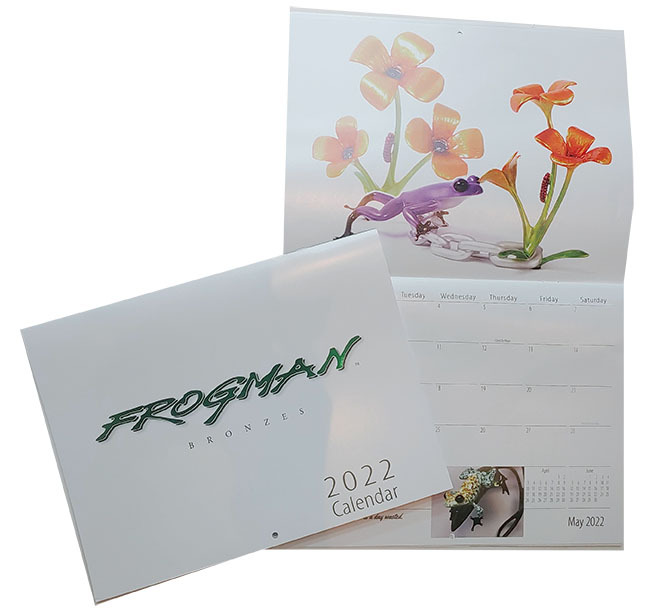 Get your daily frog fix with this great new wall calendar from Tim Cotterill. Enjoy twelve months of Tim's fabulous, colorful, fun bronze sculptures. Calendar will ship priority mail.